This random acts of kindness advent calendar in a jar will be your new favorite Christmas tradition. I'm going to make a confession. One of my favorite Christmas songs (it's actually playing right now) is not a traditional carol. It's a totally 80s pop rock song by Billy Squier (remember him?) called "Christmas is a Time to Say I Love You." I love it not just for the catchy chorus, but because Christmas is a time for giving and spreading love and kindness through our world. One of the traditions that I want my boys to remember at Christmas (besides our epic dance parties) is counting down to the big day with random acts of kindness. That's why I am super excited about this DIY advent calendar. It's filled with ideas for little things we can do to spread kindness, and it looks and smells great too. Want to make your own? Crank up the Christmas music and you'll have this project finished in just a song or two. 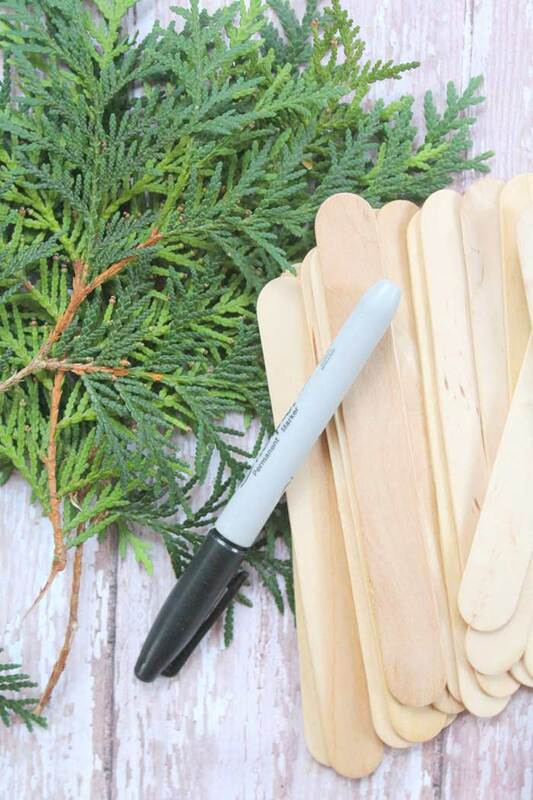 Creating your Advent calendar is really easy, and it makes a wonderful decoration that will fill your home with that wonderful pine scent while filling your heart with the Christmas spirit. 1. Begin by breaking the pine branches into smaller segments. 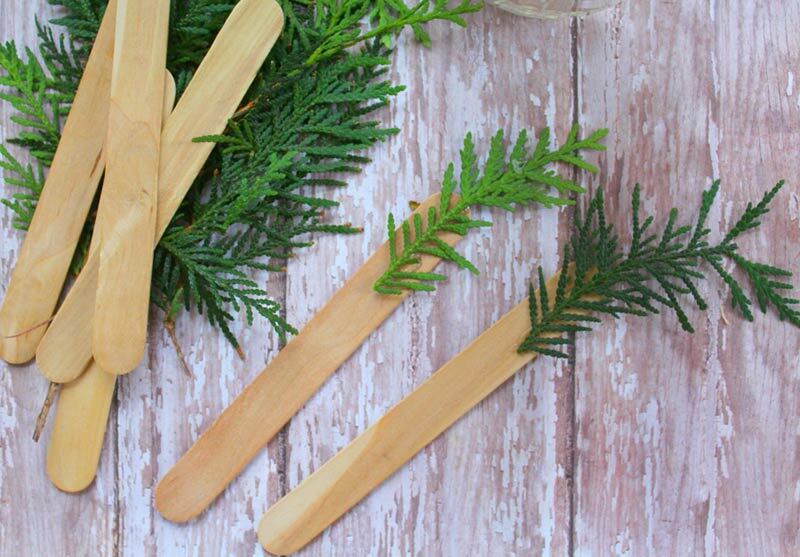 You want them to be able to fit on the end of the wood stick. 2. Add a dab of glue to the end of each and press the pine segment to it. Hold in place until the pine is dry and secure. 3. Take your marker and write a random act of kindness on each stick. Wide wood sticks work best since these give you more room to write. You can make up your own tasks or find lots of ideas below. 4. 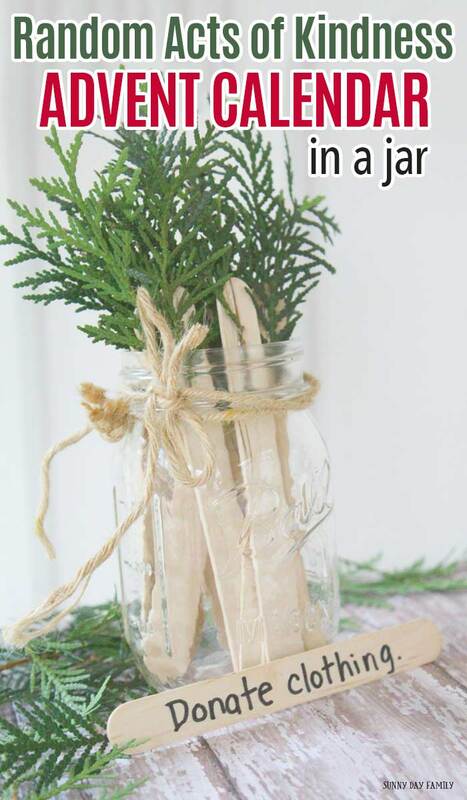 Place the finished sticks in the glass jar. 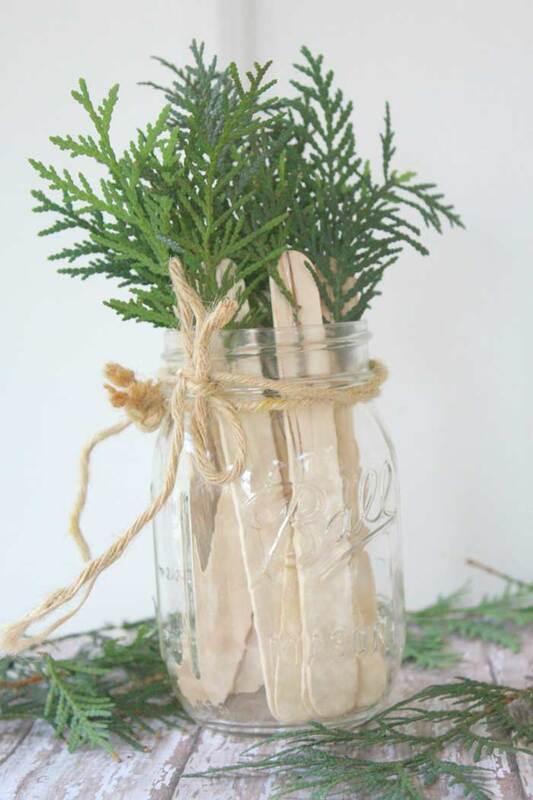 Finish the jar with a length of twine or ribbon. Your Advent calendar is now ready to go. Choose a new stick each day of Advent and try out the kindness challenge. 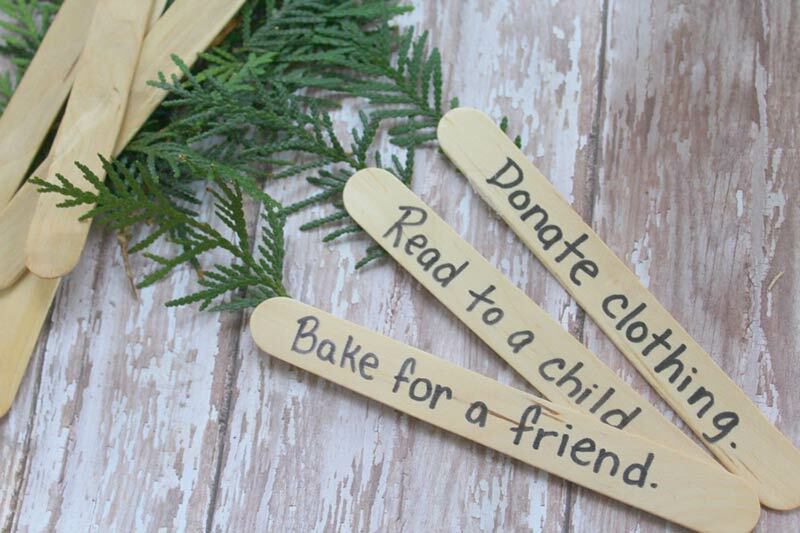 When you have run out of sticks, Christmas will be here, and you'll have completed 24 random acts of kindness! 1. Read a book to a younger child or your pet. 2. Check in on an elderly neighbor. 3. Shovel a neighbor’s front walk. 4. Hang Christmas lights for a family in need. 6. Mail a postcard to someone who might be lonely (get postcards to color here). 7. Visit your local animal shelter and bring treats for the animals. 8. 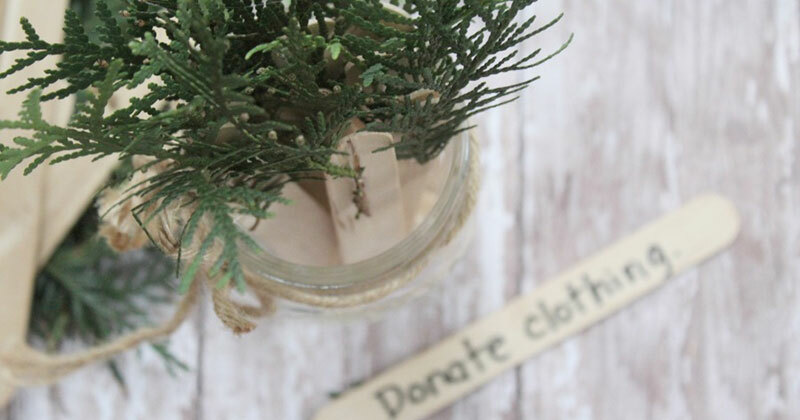 Collect clothing to donate (remember to include coats and winter gear). 9. Round up toiletries to donate to a women's shelter. 10. Donate books you no longer use to a nearby school or library. 11. Make Christmas cards for a local nursing home. 12. Do a load of laundry for a new mom (or for your mom!). 13. Leave coupons at the grocery store for others to use. 14. Tape a dollar to a vending machine. 15. Pay for a stranger’s coffee. 16. Make a card and a treat for your mailman. 17. Bake cookies for a friend. 18. Make dinner for your family. 19. Donate toys to a children's hospital or Toys for Tots. 20. Take cookies & cocoa to a local fire station (get printable gift envelopes here). 21. Make hot cocoa for your garbage collector. 22. Write a thank you card to your teacher. 23. Make homemade treats for your pet (or for a neighbor). 24. Make bird feeder ornaments and hang outside. 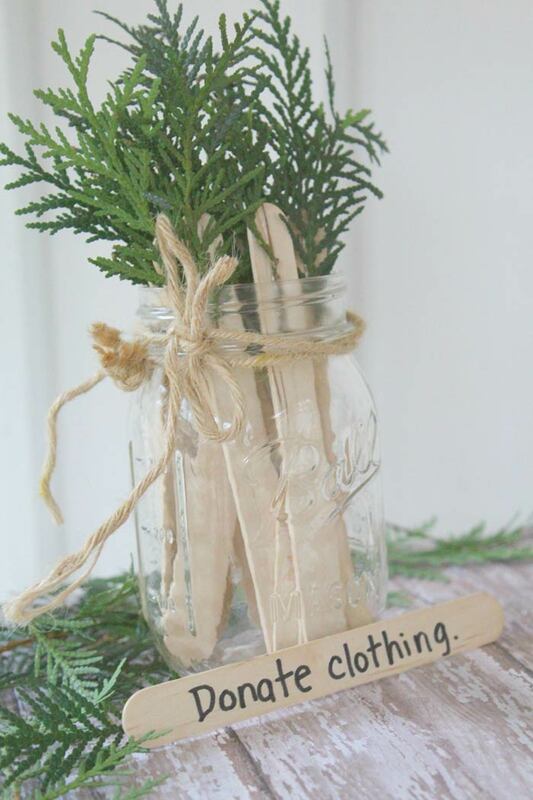 Want even more ideas to spread kindness this season? Check out this awesome printable Christmas Kindness pack! 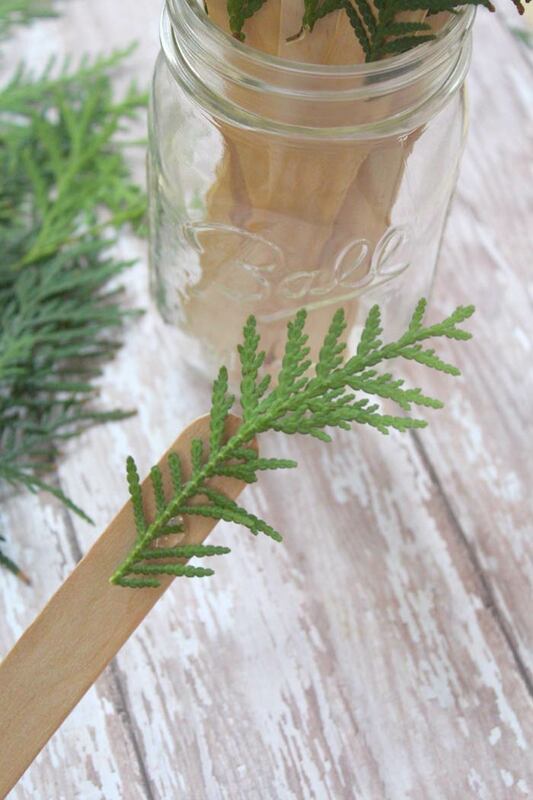 It's the perfect addition to your jar with printable cards and even more ideas to write on your sticks. 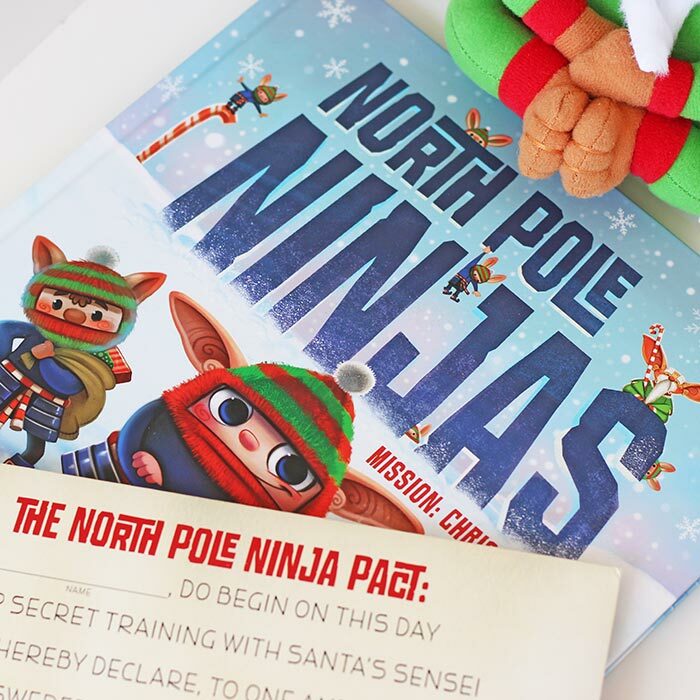 Or replace your Elf on a Shelf with the North Pole Ninjas!